Eric Clapton, Rock Musician / Guitarist * Born: 30 March 1945 * Birthplace: Ripley, Surrey, England * Best Known As: The rock guitar god who did "Layla" In the 1960s Eric Clapton earned the nickname "Slowhand" while playing guitar for The Yardbirds, John Mayhall and the Bluesbreakers, Cream, Blind Faith and Derek and the Dominoes. While with Derek and the Dominoes, he recorded the rock classic "Layla." During the 1970s Clapton played as a guest with some of the greatest performers of the era, and had solo hits in "After Midnight" and a cover of Bob Marley"s "I Shot The Sheriff." In the 1980s and "90s, Clapton met with even more critical and popular success, and had a string of hits, including the top single "Tears in Heaven," about the death of his young son. Clapton has been inducted three separate times into the Rock and Roll Hall of Fame... Another guitarist who played with the Yardbirds was Jimmy Page, later of the supergroup Led Zeppelin. Eric Patrick “Slowhand” Clapton CBE (born 30 March, 1945) is a Grammy Award winning British composer, singer and guitarist who became one of the most respected and influential artists of the rock era, garnering an unprecedented three inductions into the Rock and Roll Hall of Fame. Clapton is widely considered to be one of the greatest and most influential guitarists in popular music history. 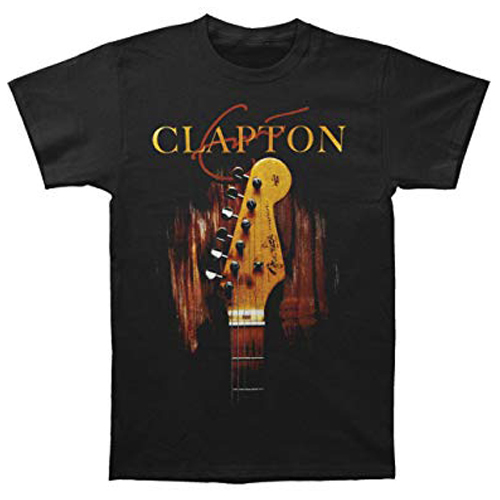 Clapton"s musical style has undergone multiple changes during his career, but has always remained rooted in the blues. Clapton is credited as an innovator in several phases of his career, which have included blues-rock (with John Mayall"s Bluesbreakers and The Yardbirds), blues-hard rock (with Cream), During his time with the band, Clapton frequently jammed in London clubs with future members of the Rolling Stones. Clapton did a seven-gig stint with Casey Jones and the Engineers, a Top 40 band, in September 1963. The Yardbirds & John Mayall and the Bluesbreakers Clapton joined The Yardbirds, a blues-influenced rock and roll band in 1963 and stayed with them until 1965.